Blind Taste Test With Award-Winning Chef Graham Elliot, Prepare the Perfect Steak with MasterChef Junior Winner Alexander Weiss, Cook Mac-n-Cheese with MasterChef Winner Christine Ha and More! The MASTERCHEF Cruise announced today the line up of programming for the first-ever seven-day culinary journey sailing to the Caribbean Nov. 8-15, 2014. Foodies and fans of America’s most-watched cooking competition series MASTERCHEF (Mondays, 8:00pm ET/PT on FOX) will hone their culinary skills while getting up close and personal with their favorite series talent with over 15 hours of event programming including Pressure Tests, Mystery Box Challenges, MasterChef Trivia, Tag Team Challenges, cocktail parties, meet and greets and more. Presented by Shine America, producers of the television series, and events company Life Journeys, the MasterChef Cruise features a series of live demonstrations and over 13 hours of original programming with world-class Michelin-Star Chef and MASTERCHEF Judge Graham Elliot, series winners Luca Manfe and Christine Ha, the first ever MASTERCHEF JUNIOR winner Alexander Weiss and other fan-favorite talent including the current season’s winner (to be revealed in the Sept. 15 finale). to create their best version of the classic dish. Challenge featuring the MasterChef Stars. signature dessert, the ever-elusive Macaroon. “We are thrilled to be a partner with Shine America on the official first-ever MasterChef Cruise and can’t think of a more ideal setting than sailing to the Caribbean with such passionate fans of the show,” said Ibis Kaba, executive director/producer of Life Journeys. 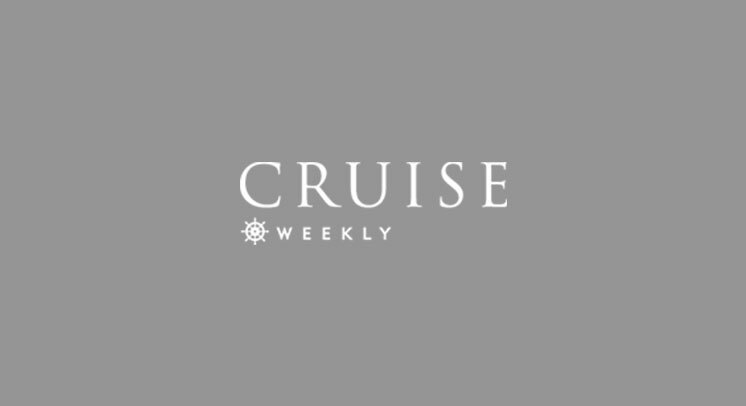 The cruise will set sail from Fort Lauderdale, Fla., and visit Grand Turk, Turks and Caicos; San Juan, Puerto Rico; St. Thomas, U.S.V.I; and Half Moon Cay, Holland America Line’s award-winning private island in the Bahamas. Special guest Chef Graham Elliot is a “Navy brat” who has traveled the world and all fifty states. He’s a creative culinary wizard with an innate ability to successfully juxtapose four-star cuisine with humor, wit and out-of-the-box artistry. At age 27, he became the youngest Four Star Chef to be named in any major U.S. city and was named one of Food & Wine Magazine’s “Best New Chefs” in 2004. He also is a judge for MASTERCHEF and MASTERCHEF JUNIOR. In recent years Elliot has accrued several prestigious accolades, including multiple James Beard Foundation nominations as well as being named one of Crain’s Chicago Business list of “40 Under Forty.” Elliot operates the award-winning Graham Elliot Bistro in Chicago. As a special highlight, cruisers will meet the winner of Season 5, who will be revealed in the season finale airing Monday, Sept. 15 at 8:00pm PT on FOX. Fares for the seven-night “MasterChef” cruise begin at $1,242 per person, double occupancy, and include all of the exciting activities associated with the MASTERCHEF Cruise shipboard programming. For full details regarding this exciting event and to make reservations, visit masterchefcruise.com or call 1-888-259-9191, ext. 1262.